Walkley Award winning investigative journalist, Justice campaigner, Author. 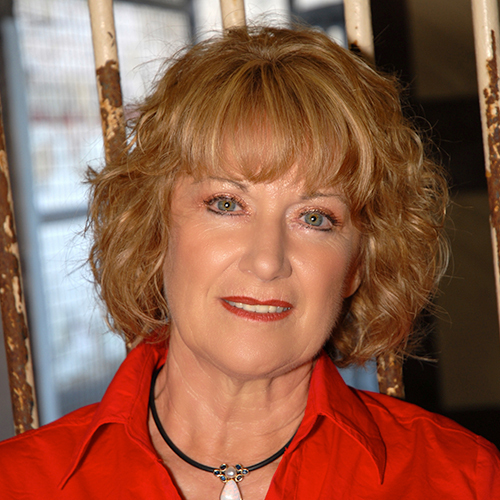 Estelle Blackburn’s motivational story is about how she took on the justice system and, against all odds, rectified two grave injustices, demonstrating the power of an individual to alter history and improve society at a fundamental level. Estelle was a Perth journalist who had worked for The West Australian and the ABC, various W.A. Government Ministers and a Premier, when she gave up full-time work and spent six years researching and writing the book ‘BROKEN LIVES’. Estelle’s book exposed an injustice which led to the 2002 and 2005 exonerations of John Button and Darryl Beamish, who had been convicted of murder in the 1960s, and created history as the longest standing convictions to be overturned in Australia. Her unfunded, determined sleuthing unearthed fresh evidence that prompted the Attorney General to allow the men new appeals after they had lost a combined total of seven Appeals in the 60s. Coming across the story by chance and persisting with it turned Estelle’s life around. Here was a courageous woman who without a second thought impoverished herself to fight the cause for strangers. With no legal training and armed only with extraordinary qualities of courage and determination, she took on the system and won in a 10- year combined exercise in authorship and citizen advocacy. Because of her vision, hard work and self sacrifice the justice system may have been set on a truer course. This work won her an Order of Australia Medal for her service to the community through investigative journalism. She has also won journalism’s highest honour, a Walkley Award for the Most Outstanding Contribution to Journalism, the Perth Press Club Award, Western Australia’s Clarion Award, the Premier’s Award for non-fiction, the Australian Crime Writers’ Award for best true crime, and a Churchill Fellowship to study innocence organisations overseas. Estelle has also been included in the Western Australian Woman’s Hall of Fame, has won WA Citizen of the Year (in Arts & Entertainment) and won WA Woman of the Year, and been the subject of three one-hour episodes of the ABC TV program ‘Australian Story’, a 60 Minutes story and an episode of the US Forensic Files program. Estelle is an experienced public speaker who has addressed corporate, government and community events since the publication of her best selling book Broken Lives. Often described as Australia’s Erin Brokovich, and with her own story like that of Netflix’s Making a Murder series, she has an amazing real life detective story encompassing murder, innocence, wrongful conviction, determination, perseverance and finally justice in her enthralling presentation ‘Challenging Justice, Changing Lives’. Her speech is motivational, inspiring, entertaining and spellbinding. Royal Australian College of General Practitioners annual Scientific Conference, Perth. Keynote speaker with Rubin ‘Hurricane’ Carter, AMP 8th National Financial Planners Conference, Melbourne. Guest speaker – AGM of the Adelaide Crime Prevention Council. Australia South Pacific Association of Crash Investigators Conference, Sydney. World Reconstruction Expo, Houston, Texas. Convention of Journalists, Artists & Photographers, Brisbane. Australian Corporate Lawyers Awards launch. CPA Australia WA State Congress. Institute of Chartered Accountants Business Forum, Perth. Ray White Real Estate Group State Conference. International Criminal Lawyers Conference, Adelaide. Accountancy Insurance clients’ lunches, Melbourne, Brisbane and Perth. N. Cornell. The Professionals Real Estate Group.